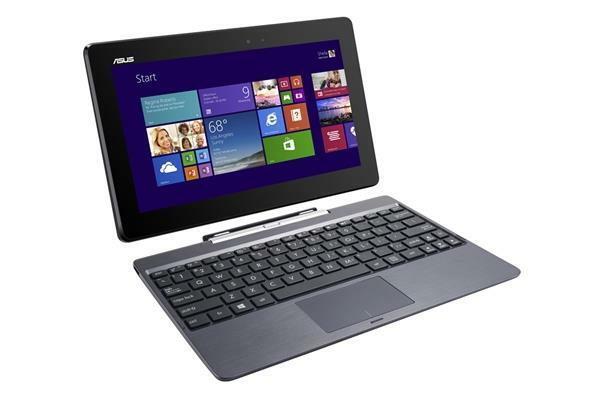 The Asus Transformer Book Flip TP200SA is a cheap 2-in-1 convertible laptop with a small 11.6-inch display. The 2-in-1 comes with either the very basic Intel Celeron N3050 dual-core CPU or somewhat faster Intel Pentium N3700. System memory size is either 2GB or 4GB, while for storing data there’s 32GB or 64GB of eMMC storage or a faster and larger 128GB solid state drive. The TP200SA uses stereo speakers for sound reproduction, while video chats are enabled via a low-resolution VGA webcam. To get you online, Asus has provided 802.11AC Wi-Fi wireless interface and the laptop also has Bluetooth 4.0. Selection of ports and slots include one USB 3.0, one USB 2.0, and the brand new USB-C type port, as well as a micro HDMI video connector, microSD media card reader, and a combo mic / headphones audio jack.